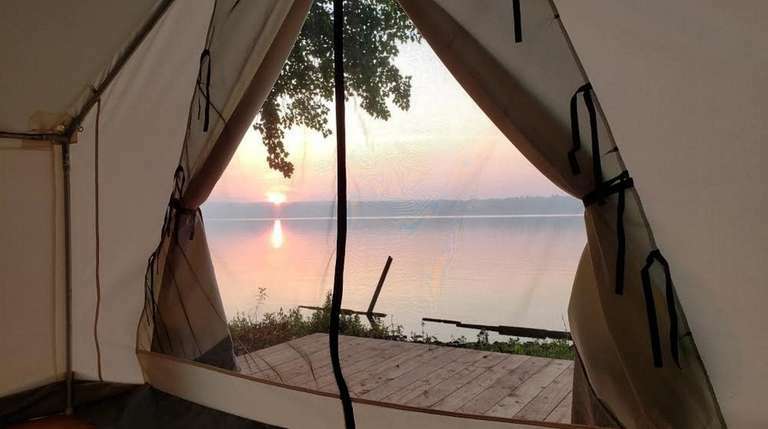 The area's first glamorous camping site opens Memorial Day weekend with rates from $300 a night. The Hamptons are known for their estates hidden behind hedges, high-end businesses and celebrity sightings. Now a tent community can be added to the list. 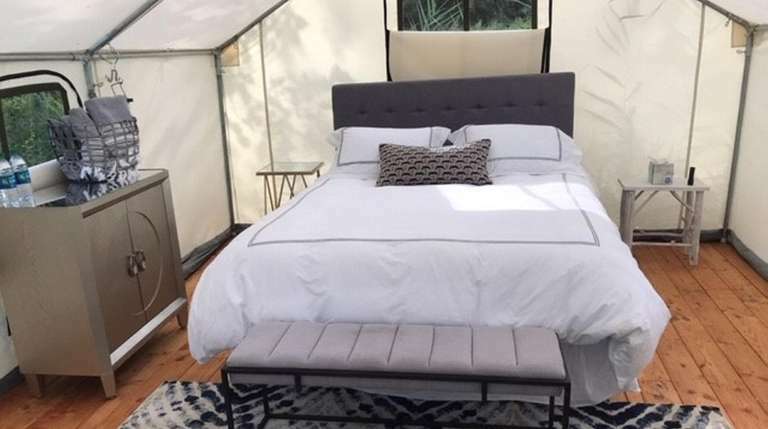 Brooklyn-based Terra Glamping is opening the area’s first site for glamorous camping, or “glamping,” on Memorial Day weekend in East Hampton. 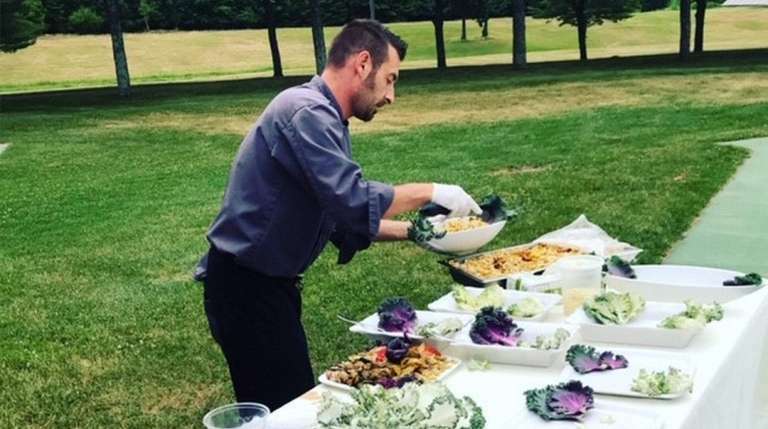 The glamping and event production company is best known for its seasonal glamping hotels in the Rockaways and the Catskills, and pop-up events in New York City. Martin says glamping has “exploded” in popularity over the last two years. The East End site features 30 elegantly furnished safari-style tents in East Hampton’s Cedar Point County Park, overlooking Gardiners Bay with stunning views across the bay to Shelter Island and Sag Harbor. Perfect for those who really don't like camping, the accommodations offered include 6-foot decks for looking at the real stars when not on the hunt for celebrities and queen-size memory-foam mattresses and down bedding. Also available to guests are two lounge tents with sofas, books and board games, in addition to a dining tent, bathroom facilities, a fully stocked grilling area, a fire pit and hammocks. A continental breakfast includes fresh coffee, fine teas, local pastries, fruit, yogurt and homemade granola. At night, guests can gather around the campfire with treats from a gourmet s’mores bar. Prices start at $300 a night and tents will be available from May 24 through the last weekend of October. Also planned are sunrise yoga sessions, live music, movie nights, wellness festivals and farm-to-table dinners with guest chefs. Reservations can be made online at www.terraglamping.com/east-hampton-glamping.